Algiers (Agenzia Fides) - "The beatification of the martyrs of Algeria is, for our congregation, a sign of the Lord's blessing on the occasion of our 150th anniversary of its foundation. The Society of the Missionaries of Africa (White Fathers), proud and grateful for its past, can hope for a future filled with God's grace. Our missionary adventure is not yet over": says to Agenzia Fides Fr. Gaetano Cazzola, Provincial of Italy of the White Fathers, recalling that on December 8th the celebrations of the 150th anniversary of the birth of the Society of the Missionaries of Africa begin. From 8 December 2018 to 8 December 2019 the event will be remembered with various initiatives in all the communities in Africa, Latin America, Asia and Europe. The history of the White Fathers is studded with martyrs. In 150 years, 50 members of the Society were killed because of their faith. The first, in 1876, were three missionaries killed in the Sahara. The last ones, on December 27, 1994, always in Algeria: Jean Chevillard, Alain Dieulangard, Christian Chessel and Charles Deckers were shot dead by Islamic fundamentalists. 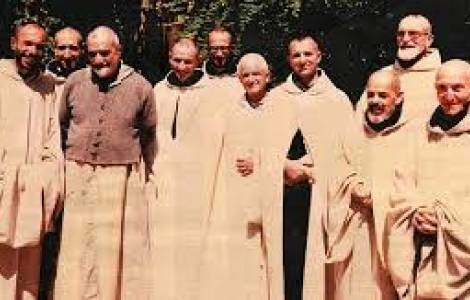 December 8th will be the day when these four White Fathers will be beatified together with the other martyrs of Algeria. The Society was created in Algeria in 1868 by Cardinal Charles-Martial Allemand Lavigerie, at the time Archbishop of Algiers. At the origin of the foundation there was a serious humanitarian emergency. In Algeria there was a terrible drought that had caused famine and many epidemics. People died by the thousands and the diocese of Algiers had to take care of more than two thousand orphans. It was this that prompted the prelate to create a society of religious to deal with the orphans, most of them Muslims. On October 19, 1868, the first novitiate began with 12 aspiring missionaries. Their task was reception, but also dialogue with the Muslim world in which they lived (not for nothing they were asked to dress like Muslims with white robes, hence their name). The Cardinal said: "You are the initiators, true evangelization will be the work of Africans". From Algeria, the White Fathers created communities throughout North Africa, then sub-Saharan Africa and Latin America, Asia and Europe. Since the foundation to date, 5,228 fathers and brothers have worked in the Society, including 138 Italians.